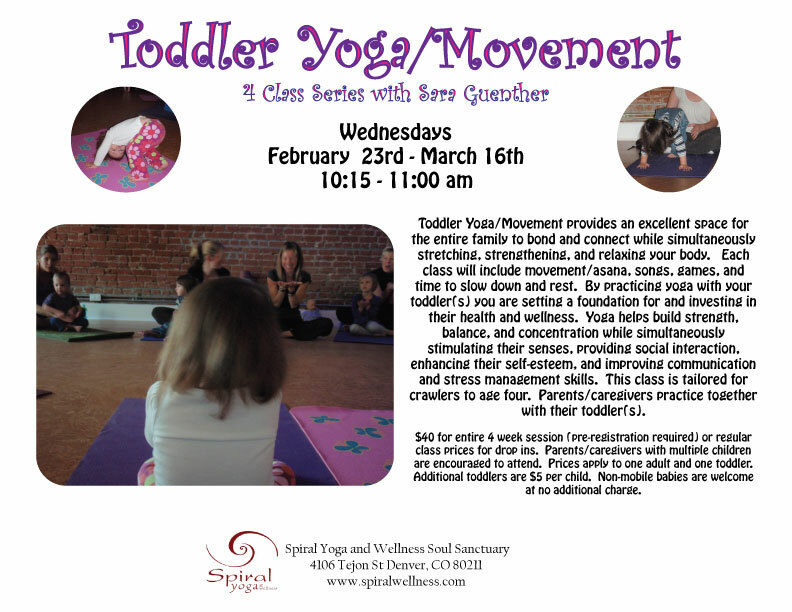 My next Toddler Yoga session starts on Wednesday February 23rd from 10:15-11:00 am at Spiral. This class is tailored for kids crawling to age 4. For more information please email Sara at saraguenther@ymail.com or you can preregister here. Hope to see you there.